Regarding cymbal “warming up”, I am not a fan of this concept. It seems to be an extension of the practice of warming up (or priming) a gong prior to striking. As we both know, the mass of a gong is exponentially greater than that of a cymbal – even a large cymbal. 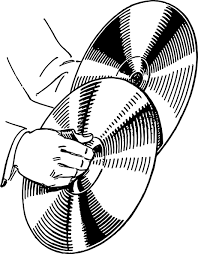 Getting a large mass to vibrate takes more time and effort to induce enough vibration to sound fully, so, warming up a large mass object like a large gong/tam-tam makes sense. In my experience there is no need to warm up crash cymbals (piatti) at all…ever. Even when I play my 22″ “Wagnerian” cymbals, their attack is immediate and fully resonant. I very occasionally do “warm up” a large (ie. 20”+) suspended cymbal when I need to play at soft dynamic levels. However, this is very rare done. Let me add that it appears we’re living in an age of increasing confusion between fact and fiction…I strongly believe in science and data. As a musician I trust my ears (and those of my respected colleagues) to provide the feedback needed to make sound musical decisions. I have never had a conductor or colleague complain that my crash cymbals were sounding late. After years of playing in top concert halls across the globe; Symphony Hall here in Boston to Suntory Hall in Tokyo, as well as having to cope with some of the worst acoustic environments imaginable, (hockey arenas, hotel ballrooms, etc), I can unequivocally say that “warming up” a pair of crash cymbals is NOT necessary.